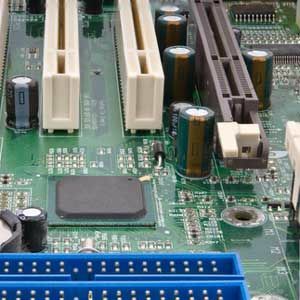 Last week I showed you some of the simplest DIY repairs and upgrades that you can do yourself 3 DIY Computer Repairs You Can Easily Do Yourself 3 DIY Computer Repairs You Can Easily Do Yourself Read More , but one reader asked how to diagnose which component was the problem. Today I’d like to walk you through the process of diagnosing a faulty PC that won’t turn on, then next week I’ll show you some more in-depth tools to pinpoint problem hardware in a situation where the computer will turn on, but is acting strangely. Obviously, if the power won’t start on your PC then no amount of software tools is going to help you, so it’s time to open the case and start the hardware diagnosis process. PCI / ISA / PCI Express Cards – Anything apart from your video card (and your video card too if you have an onboard port you can use instead) should be removed, such as sound cards, networks cards, modems, additional interface cards. You may think these are unlikely to cause issues, but one of my old machines refused to boot last week because the network card had developed a fault. Removed it, and all was fine. Hard disks – You need only remove the power to these. CD-ROM – Again, only take out the power cable. Having that done, try the power again. Are you seeing any activity at all? Is there a power light on your motherboard? If you can’t see any obvious capacitor problems, then move on to diagnosing the power supply. A power supply is the most common component to fail along with hard drives and fans, usually down to either the moving fan inside the power supply itself or again, capacitors. However, you should under no circumstances ever try to repair a faulty power supply – the only option is to replace it. Even if it appears to be broken, there’s a very high chance that some high voltages are still stored inside. I DON’T suggest you pull out a multimeter and start trying to test various bits of it. There are two way to diagnose a faulty power supply, one is with a spare, and the other is with a second computer. If you have a spare, trying swapping the faulty one out and the spare in. If you have a spare computer, grab the power supply out of that and try swapping it in instead. Obviously, this is going to show you straight away that the power supply is at fault. To avoid jumping to wrong conclusions though, be sure you are plugging in ALL the leads you need to. Modern motherboards need not only the large 20-pin power plug, but often additional 4 or 8 pin plugs for additional processor or video driving power. Check your motherboard manual, or look closely around the CPU fan for connectors like this. 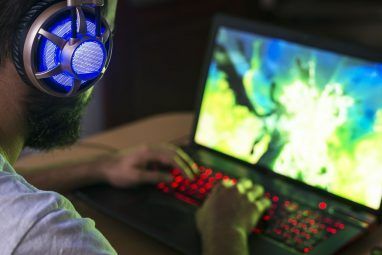 If it looks like you ought to plugging something in there, download and read through our free guide to your PC inside and out, especially the page on power connectors. The final option is to try your suspected faulty one with another computer, but given that there is a chance it will harm the components I don’t suggest you try this with hardware you really value. If, having unplugged everything non-essential you find your computer now boots fine, you can start the laborious process of testing each component individually. Start with the video card, then move on to additional cards and components until you find the one that’s blocking system boot. Computers are actually remarkably good at diagnosing themselves, and will often produce their own error codes in the form of a series of beeps. Though the beep codes vary by manufacturer, you can be sure that they have something to do with either your CPU, your memory, or the video card. Check the manual or manufacturers site for codes specific to your motherboard, or you try looking at this table of generic beep codes for older BIOSes. The most common beep code I come across is a continuous series of beeps, which indicated a memory error. It could be as simple as not seating the memory in the slot correctly (and will often come out during a move). If your computer will turn on and function correctly, but you sometimes still hear a series of beeps during use, it means your CPU is overheating, most probably due to a fan this is starting to fail. You can try to clear the gunk and dust away from the heat-sink and fan as a short term fix, but look to replacing the whole thing. I didn’t feature this in the list of easy DIY repairs for a reason and I wouldn’t recommend it for a beginner, but if you’re serious about becoming PC hardware proficient then it’s a good process to learn. This pretty much covers diagnosing a PC that won’t turn on, so next time I’ll be showing you how to pinpoint hardware problems even if your PC is functioning somewhat, or at least getting to the boot phase. If you have any stories of hardware woes, do let us know about it in the comments. I sometime face problem with pc not booting up, led on, fans moving at 100% but pc shows no screen ( no input to led). Actually i got all the essentials first (Mobo, ram, Cpu, PSu and hdd) then i used to put additional parts overtime. 1st i upgraded cpu cooler, then SSD and then case fans. I occasionally aslo used to take mobo out and then in for cable management etc. After adding or upgrading a part or re-assembling Pc, the pc wont boot as said above. it happend several time and each time the old fix didnt work! I’m having problems with a Windows vista PC that black screens and nothing happens. I thought it was originally the GPU or the MOBO, but I started researching about black screens and figured out that is my issues. What’s causing it? No idea.... one idea is: extremely important System32, C://Windows, or other System files may be missing, or some hardware issue. Got any help? Honestly, I’m a coder not a computer technician... thanks all! Be careful about swooping power supplies. I did that with a faulty PSU and it killed of my MB in another PC. You can get PSU testers, that show green LEDs if the correct voltages are there, but even so, some of the testers didn't show anything on a perfectly good PSU. I have a HP 14-d039TU which doesn't go on at all. It happens that this part http://imgur.com/OIHXblS is getting extremely hot in almost 30sec of plugging in power. It doesn't have a fan, it has these modern heat sinks which includes justjust a metal palet. Is there a way of fixing this? Your help will highly be appreciated. That's not really user-serviceable, unfortunately. Diagnosing something like that would involve checking the schematics, finding what is shorting, and correcting it - many hours of work for a skilled engineer, which isn't usually cost effective. I just got another psu from a local vender and I'm ready to try it out by starting with just the motherboard and processor, removing the RAM, graphics card, LED display panel, fans, heat sink, optical disk drives, and storage disk drives. I also have an ohmmeter I just borrowed from a friend, without any experience using one, so I'm wondering how I should go about testing my components. It seems that using the multimeter can do damage to a component, but finding the shorted component using the "add one variable to the equation until it doesn't work" will blow the psu in my situation. I'm building an entirely new pc, but I still want to revive as much of this system as I can. Plus, I like learning how to do stuff like this myself. That's a tricky one, to be honest. Was this something you built yourself from scratch, or has it been working before? If it's been working, I'd suspect your motherboard is at fault - capacitors blown is a common issue - so removing everything may just kill another PSU. If it were me, I'd just replace the motherboard/ram/cpu - it may be uneconomical to try and save the memory and CPU. Good news! I tried the new PSU with the 24- and 4-pin connected to the motherboard, and it's running fine as far as I can tell! Everyone and their mothers were suspecting the motherboard, but I figured it was worth the cheap cost of the PSU to test it out. Should I add the GPU next? Or maybe the RAM then the GPU? Or should I get new RAM first before messing around any further since that is cheap? It was a scratch build, but I bought it used for cheap from an ex-coworker a few years back. Maybe I should skip testing the GPU? Do the marks look bad under the print at the top middle? Well, now I'm just confused. You're absolutely sure it was wired up correctly the first (two) times? Had it been running fine before, then just suddenly blew up one day? I'm not sure what to suggest. Two busted PSUs implies the motherboard. I'm certain some faulty RAM couldn't cause that, nor a graphics card, but I'll we'll see once you put those back! Ok I put the RAM and GPU on the motherboard. Everything seems to be ok with the GPU fans and heatsink fan running just fine. I can't get any display though, not even the bios. It was running fine for years and then suddenly blew up, yes, which is why I thought it was just the psu. But then when I put another psu in, that blew up immediately the same way. I used some of the same wires form the first psu on the second, and also had all the case wiring attached (including the LED display panel). Now, I've taken everything out of the case and I have a third power supply running with the motherboard, gpu, cpu, heatsink, and RAM, but can't get a display. After looking closely at the graphics card, I'm wondering if I should skip testing it. Do the marks on the board under the print at the top middle look bad to you? I've been using double monitor for almost 3 months now, and its been a week since I'ved experience things regarding my monitor. It turns on and off every now and then and I don't know what's the problem. We tried to replace the monitor with a brand new one, but still, it blinks. Please help. If you've replaced the monitor, you're left with two possible causes. 1. Faulty video card / connection. Try replacing the cable, and if that doesn't work, it might be your video card, which is obviously much more expensive to fix. 2. Dodgy drivers. Short of reinstalling windows with latest drivers, there isn't much you can do about this. It may not even be the drivers, it may be something else on the software side causing a refresh. In my opinion it is rather difficult to analize any problem if you can't even imagine how computer works. For instance, in our office we use this type of power supply http://hardware.be/power-supply/dell/jy924.html and when it was broken no one, only a master could understand what happened with it! I guess the best way is to ask help of specialist! my trouble is in the floppy drive socket on the board, or the board does no longer recognize the floppy drive and has disabled it /no longer seems to know it's installed and powered on. yes, it is a brand new ALPS 1.44 drive right out of the package. the original was the same and always worked till yesterday. i replaced it with a new one to be sure it wasn't the floppy drive. Also if none of these work try moving the RAM to a new socket. I tried all these things for hours when all I had to do was move the RAM and it fixed the problem i was having. First things first. Check your power supply connectors. A loose power connector can prevent the computer from initially powering up or it can cause intermittent disruptions in current which will cause shutdowns. the connectors may not have been completely secured when it was originally assembled or the last time it was reassembled. If you move your computer around much, all the jostling can loosen connectors. Sometimes it just the simplest thing. Fab post James. I have repaired many computers over the years so wasn't expecting much from this article. I was pleasantly surprised by your suggestions - very comprehensive and informative. Well done. Actually, Beeping should be the first on the list. 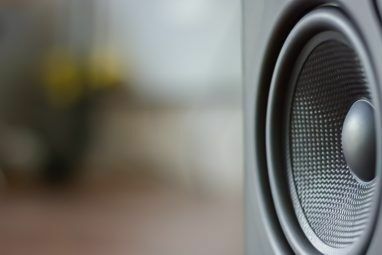 If there is no beeps coming out of your speaker, then that is the time to take out the non-essential parts. The second most common beep code is caused by the video card. If you're sure that the power supply is good and you only have the motherboard and processor singled out, in my experience 90% of the time, it is the motherboard. Processor rarely quit but still do. Hi Edmar, I put beep codes last because the article was prefaced around the idea of "wont power on". As far as I'm concerned, if you've got a beep code then your PC is on and debugging itself, so that's why I put it last. I have yet to see a faulty processor though (outside of an overheated xbox360 that is). And lately(2-3 days) the PC freezes(not hangs since all resources are mostly free, but freezes). The only solution left is to force restart. Then sometime I have to switch to Ubuntu, but such problem is popping up with Windows 7 only, not any other OS. How to check what part of the computer is causing the FREEZE. Fans are one of the first things to fail, because of moving parts (along with PSU and h/d). I had a similar noisy fan, and ended up having to replace the CPU cooler entirely with a more efficient, silent one. It's not obvious if your windows problem is related, but it could be if your CPU is overheating (perhaps ubunut isnt taxing it enough). 2. run a memcheck utility to check you dont have some bad RAM. Really thanks a lot for this valuable post as i am facing 3 beep sounds from my PC and i resolved it.